Our collection of Congratulations flowers is fantastic for telling a loved one that you’re proud of them. Congratulations flowers from Flowers Aberdeen are great for exam results, or passing a driving test or for any achievement you want to recognize! 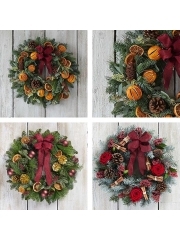 Here at Flowers Aberdeen we provide an absolutely fantastic delivery service. We know that sometimes life can be very busy and hectic, and that’s why we have out great delivery service in place. So that when you find yourself without the time to deliver flowers yourself we can do it for you. Our Flower Delivery Aberdeen delivery drivers are well aware of how delicate and easily damaged flowers are so they’re always careful when delivering flowers to your recipient. 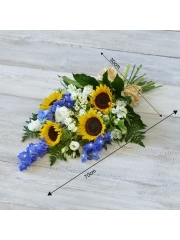 At Flowers Aberdeen we work hard to make sure that our flowers arrive with your recipient in the same perfect condition that they were in when they were arranged in our Florists Aberdeen shop. What’s more we don’t just deliver your flowers a day or two after you order them. We offer same day delivery on almost all our bouquets and arrangements. 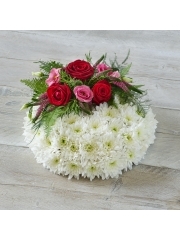 Our Florists Aberdeen same day delivery service is always quick and efficient and will never disappoint you. If you want same day delivery on your flowers from Flower Delivery Aberdeen then make sure to order your flower before 3pm. This gives our expert florists here at Flowers Aberdeen time to arrange your same day bouquet to our usual high standards. Another factor which adds to our excellent service is that Florists Aberdeen is a member of Interflora, the trusted, international network of florists. Because Flower Delivery Aberdeen is a part of Interflora, we can deliver your flowers much further than simply the local area, or even around Scotland. 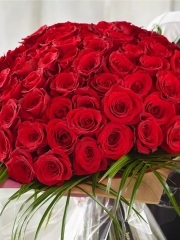 We at Flowers Aberdeen can send your flowers to any of 140 countries all over the world! It’s so easy with Florists Aberdeen to treat your loved ones with beautiful flowers no matter where they live. 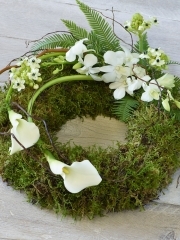 One thing we at Flower Delivery Aberdeen really value is the quality of our flowers. We only ever use the highest quality flowers in our bouquets and arrangements and we know that even one bad flowers can ruin what would otherwise be a perfect bouquet, which is why our Flowers Aberdeen florists always check over all our flowers. 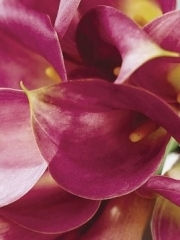 In order to ensure the highest quality possible, Florists Aberdeen only use flowers from Holland. Flowers from Holland are some of the finest in the world and that’s why we use no other flowers in our Flower Delivery Aberdeen bouquets and arrangements. As well as valuing the quality of our flowers we also value how fresh they are, as there is nothing worse than having beautiful flowers die after only a few short days because they weren’t sent out as fresh as possible. That’s why we have all the flowers from Holland delivered straight to our Flowers Aberdeen shop, so we know that they are as fresh and recently cut as possible. What’s more we receive the flowers several times a week so that we always have a supple of fresh flowers in our Florists Aberdeen shop just for you. 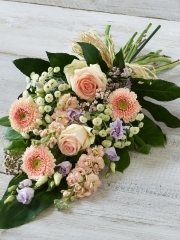 Here at Flower Delivery Aberdeen we have over 40 years of experience in the flower business, so you can be sure that when you come to us for your floral needs we will know exactly what to do so that you receive the best bouquet possible. Flowers Aberdeen values its customers and this really shows in our great products.